What happens when you take three self-destructive, morally grey people and force them to interact with each other? 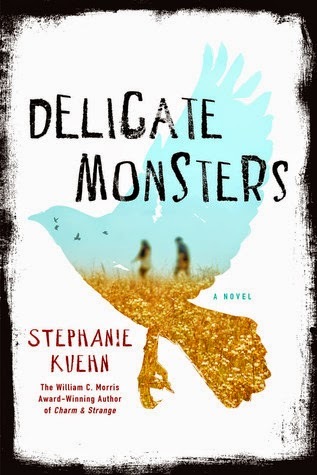 A high stakes psychological thriller from Stephanie Kuehn, potentially her best work yet. What I enjoy the most about turning to a Stephanie Kuehn novel is that I'm always given the sense that she is in control of this story. It's a strange thing to mention over and over; but there are some books with extraneous details, some books when I'm crossing things out in my head as I'm reading (and wondering what the point of X and X truly is). This will never happen with a Kuehn novel. She's a wordsmith through and through, and she keeps her novels taut with tension and her writing tight so that the thriller elements are well and truly highlighted. For her other novels, I've read reviews suggesting that some plot elements are predictable. Well, not so for me, and particularly not at all for this novel. I think this is where the fact that Kuehn used a third person perspective came in handy. Furthermore, instead of one unreliable perspective, we now have three. All those elements together make the past and future events that much more unpredictable. Still, even knowing that these PoVs are unreliable doesn't stop you from caring about the characters -- or if not about them, at least what they will do or what lays in store for them. Kuehn excels at making their voices not only distinct but also compelling (definitely didn't expect to ever feel empathetic towards a sociopath but wow, what.). I also think that these additional perspectives allowed for greater character complexity in the side cast, as each character has something different to say about, say, Mr. Su or Mrs. Tate. This is why I say that Delicate Monsters may be Kuehn's best work yet. 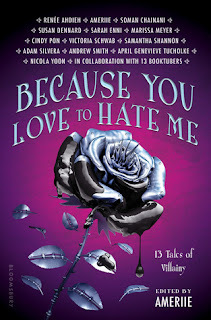 The pacing is just as fast as her other novels, and the climax action-packed and full of tension and the best sort of satisfying character and plot reveals.... and now we've got added character complexity and unpredictability. Delicate monsters, indeed. Another thing that I really appreciate about Kuehn's novels is that she's handling very real issues. Her books aren't all about mentally ill characters - there's criticism on race, parenting, class, etc. But, most of all, she gives mentally ill people a voice. Whenever I've read a sociopathic character, it's generally been in the form of a villain. What easier way to create a villain than someone who doesn't care about harming other people, right? Taking on the challenge of creating a compelling, 3D sociopathic character is hard -- and yet, Kuehn does this with ease. Her books are so, so discussable - and not just for their take on mental health but also on other issues. I can only hope that a writer as talented as Kuehn will always have a place for her stories to be published. I'll certainly be coming back for more.